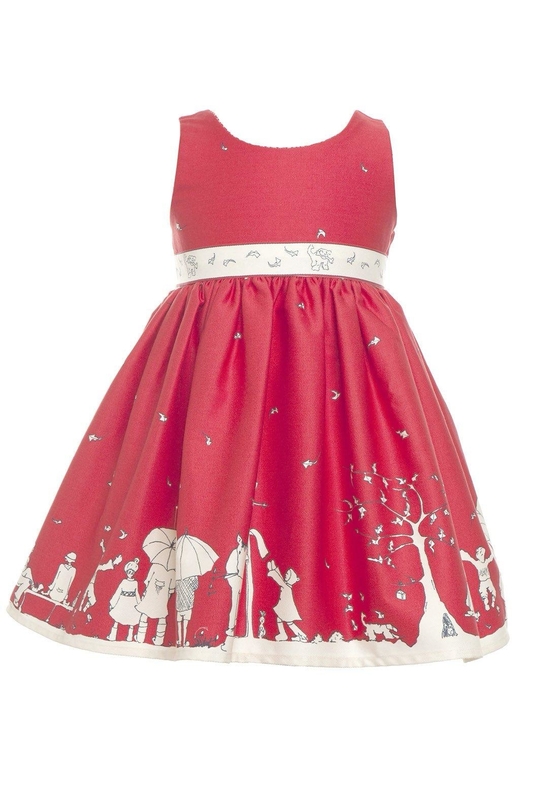 Featuring our hand illustrated Aunt Eva print, depicting an exciting escapade on a blustery autumnal day. Martha has plenty of room around the waist - the sash at the back allows the dress to be pulled in to fit comfortably. With buttons down the back to fasten and a lovely full skirt to add a bit of party flair. Part of our Hairy Scary Mammoth Collection, you can follow the adventure along the border print and in the storybook that accompanies it.